There’s something satisfying and quaintly charming about a picnic in the summertime, like posing for a Manet masterpiece. Nothing beats indulging in a homemade banquet of your choosing accompanied by a refreshing beverage, while a warm breeze caresses your face and invites you to sit back and relax. Luckily for us Hudson Valley residents, there are a plethora of exceptional picnic spots right in our backyard! 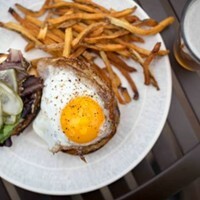 Here are our top places to take a picnic in the Hudson Valley. Since 1960, this 500-acre outdoor museum in New Windsor allows visitors to experience large-scale sculptures “under open sky”. What better way to enjoy a picnic than being surrounded by gorgeous artworks, both manmade and of the natural world! Keep in mind picnics are permitted only in designated areas located adjacent to the North and South parking areas. You’re welcome to bring a blanket to spread on the lawn as long as they are set up away from the sculptures. You can also bike along the miles of trails. So pack a lunch and make a day of it. Thanks to David Bannerman, son of successful businessman and Scotsman Frank Bannerman, the iconic Scottish castle of Bannerman Island was built in 1901. Nowadays, with the castle long-abandoned, this island is an intriguing site to behold. To reach the island, take a kayak tour out of nearby Beacon and settle down on this unique landmark for a picnic lunch amongst the beautifully maintained gardens of the castle (thanks to volunteers) before heading back on the Hudson for your paddle home. If you’re not up for kayaking, schedule a guided tour of the island, and take the ferry from Beacon. With nearly 2 miles of trails that meander through woods and meadows, this 120-acre park outside of Red Hook in Dutchess County is an inspiring spot for a picnic within the Hudson Valley. Poet’s Walk’s eponymous streamside path was created in honor of Washington Irving and other literary figures who allegedly strolled this serene landscape for inspiration. Come prepared with a packed picnic and perhaps you, too, will be moved by the natural scenery! Located in Garrison, NY, Boscobel is a historic house museum that overlooks the Hudson River. With its ample grounds and gardens, not to mention an annual Shakespeare Festival running June through September, this estate is a breath-taking place to visit. After purchasing a ticket, you’re welcome to explore the grounds to your heart's content, and are free to lunch at picnic tables by the pond near the gatehouse or at the tables by the Visitor Center. 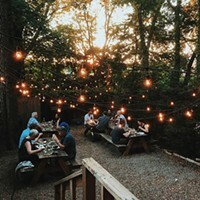 For those seeking to couple their picnic with a touch of adventure, Minnewaska State Park Preserve in Kerhonkson is an absolute must-see destination. Situated on the dramatic Shawangunk Mountain ridge, this park features gorgeous waterfalls, cliffs with expansive views, and miles upon miles of carriage roads and footpaths to “bike, walk, hike and simply enjoy.” What make this place absolutely fabulous for a summer’s picnic are the park’s two sky lakes. 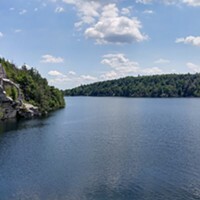 Both Lake Minnewaska and Lake Awosting offer visitors a one-of-a-kind swimming experience surrounded by white-conglomerate cliffsides and just pure, natural splendor. Sounds like the perfect way to work up an appetite!